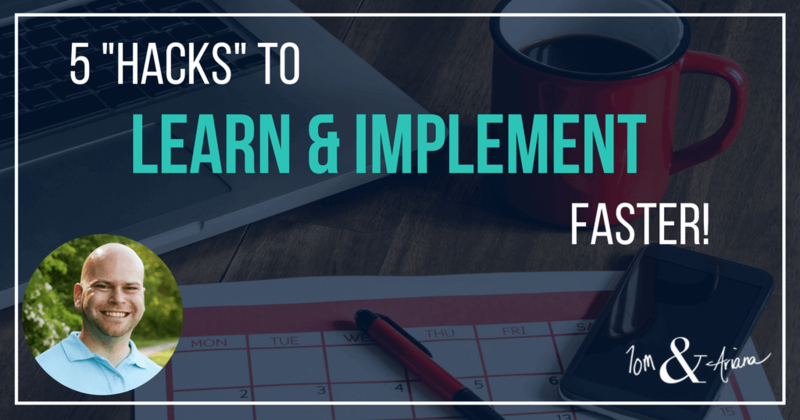 This post about “5 Hacks to Learn & Implement Faster” may contain affiliate links. For more information on this, please see our disclosures. This might seem like an odd question, but given the fact that I have read 1,000+ books, covering topics across business, leadership, productivity and many others, it’s not that much of a surprise. Now I didn’t always love reading. In fact, throughout most of my high school and college years, I did everything that I could to avoid it. Well, as Ariana and I were getting ready to graduate college and looking ahead to our futures, I didn’t like what I saw. 45+ years of working for someone else, to then retire and enjoy life. 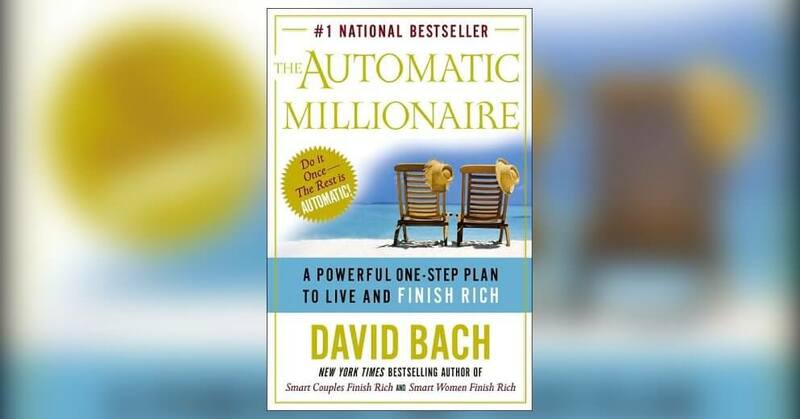 So a friend recommended that I read a book called “The Automatic Millionaire” by David Bach. I was reluctant, but I agreed to read it, but I’m glad I did. You see, my family never really had a lot of money. We weren’t poor, but neither of my parents had gone to college and they both worked hard to provide for us. So the concept of being a millionaire was not even in the realm of possibilities… until I read that book. So why did this book have such an impact on me? It forced me to realize that both I could become a millionaire and that there is a lot of power in reading/learning when it will help get you to where you want to be. So in this post, I’m going to share 5 of my best “hacks” for increasing the speed at which you can learn and get results from what you learn. P.S. – I actually had an amazing opportunity to meet and thank David publically for writing the book and inspiring me. Check out the video! So yes, I now read a lot. But there is a problem that I see many entrepreneurs fall into, which is reading a lot but not actually implementing what they read. They just continue to read and read, so they have a lot of knowledge, but when I look at their business, they are struggling. Here is an example of what I’m talking about. You see, people often hear that successful people read a lot, so they start reading a lot, thinking it will help them achieve success. But there is one major piece that most people miss, and that is implementing and learning from what you read! Reading without implementing is a great way to learn, but to have that lead to success, you need to be implementing what you learn. So below are 5 of the hacks that I use to continue to not only learn, but quickly implement and get results from that learning. Various internet sources quote that you make ~35,000 decisions a day. Wow! But you don’t actively think about most of those decisions. In fact, if you really walk through your day, you will find that most decisions you make without even thinking. Many of those decisions happen because they are a habit. 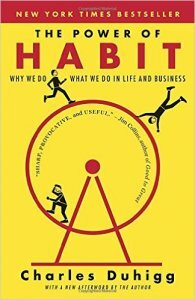 One book that I’ve read recently is called “The Power of Habit: Why We Do What We Do” by Charles Duhigg. This was a great read and reinforced a lot of what I was already doing. 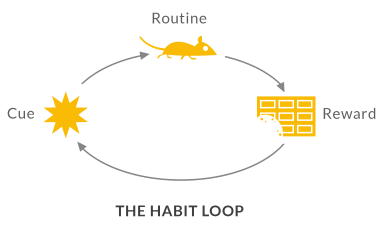 One key point that is reinforced time and time again is “the habit loop”. Basically, a habit starts with a cue, something that triggers the habit to kick in. Once the cue occurs, the routine kicks in. After the routine is complete, we get a reward. So when it comes to learning, you want to implement your own habit loop so that learning becomes a habit. One of the easiest ways to develop a habit is to use existing cues and just swap out the routine. For example, I use drinking my coffee in the morning as a cue. Instead of sitting in front of the TV or jumping on the computer, the routine that I have is to sit down and learn for an hour. The reward that I get is that I am caffeinated, my brain is now activated and ready for the day and I have some new ideas that I can implement in my business and that of the entrepreneurs that I work with. So thin about a cue that you can use in your day that will signal you into your learning routine, as well as the reward that you get for spending time learning. If you follow us at all, you know that Ariana and I live and die by our calendars. The reason for this is that it lets us be intentional with our time. It also is useful to not have to keep thinking about what you are doing next, but instead being able to reference your calendar (plus your daily plan). This way you free your brain up to focus on important decisions. Below is an example of my calendar. As you can see, I have blocks of time scheduled every day for learning from 6-7 AM. In the morning I will either work out and/or get our 2 children up. I will put a pot of coffee on, then at 6 start learning. Most times this is by reading a book, but I will also swap in watching a training video or listening to a podcast if I’ve found a good training video or podcast that covers what I need to learn next. By making learning a habit (cue, routine, reward) and scheduling the time to learn consistently, ongoing learning will become a natural part of your life. Also… I take advantage of other opportunities to learn as well. For example, when I take my son to school, I will often put an audiobook or podcast on in the car. This allows me to increase the amount of learning while doing tasks that I have to do anyway. Bonus Tip: Learn from 2-3 sources at once. Years ago I wouldn’t have recommended this, but after accidentally stumbling onto it, I’ve found it to really amplify learning. When you are learning from multiple sources (ex. reading a book and listening to a different audiobook), you will often start combining some of the ideas or coming up with new concepts that you wouldn’t have gotten from just learning from a single source. Many of my breakthroughs or ways of thinking have often come from combining various concepts in new ways. One challenge that most people run into is that they learn to learn and are not being intentional about what they learn. We are huge proponents of visioning about what you want the future to look like, then working backward to create a roadmap and actions to get there. 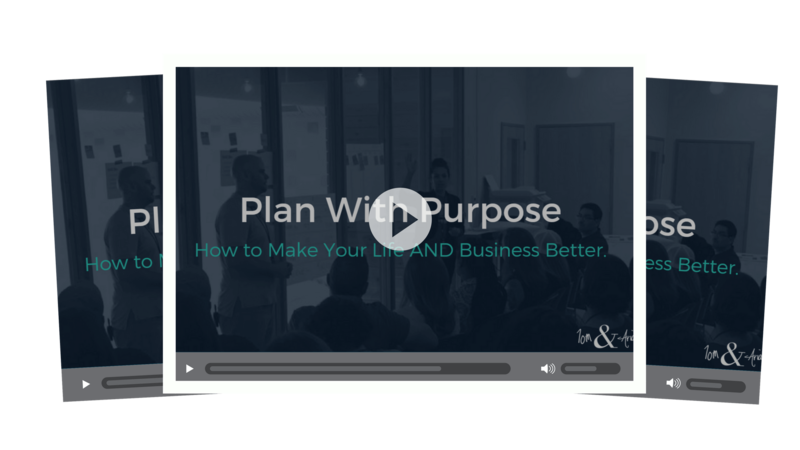 In fact, that process is exactly what we walk people through in our free Plan With Purpose course. This is the same process that we use with our coaching clients and what we often share when we speak to entrepreneurs. By getting clear on what you want your future to look like and defining the key actions required to get there, you can then ask yourself what you need to learn in order to take those actions. In this way, you will be able to avoid the “shiny object syndrome” where you get sucked into the latest book, course or podcast that someone recommends. Instead, you will be able to pick the right books, course, and podcasts that will give you the knowledge needed to take the actions required to achieve your goals. This step alone will really up the benefit/return that you get from investing time into learning. If I have one “secret”, this is it! Seriously. If you do steps 1-3 above but you don’t implement what you learn, you are missing out on so much! I actually learned this when I was in grad school for business management. I was still working a 9-5, so I was taking classes 1-2 night a week. 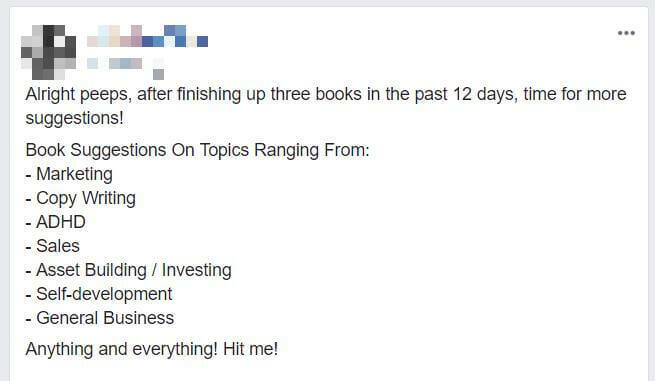 A co-worker was taking most of these classes with me. What ended up happening, almost naturally, was that we would go to class and learn about some great topics. Sometimes we would even bring real-world examples from our day-jobs or side businesses to class and discuss how they relate to the topics that we were learning. This was a great way to begin connecting what we were learning to the real world. But the real magic didn’t have in class… it happened in between class sessions. I would take what I learned in class and immediately implement it over the next week. Sometimes it worked out really well, but often times I would encounter challenges when I woudl try to implement something. I would then be able to reflect and learn from what was working and what wasn’t. Then the next week in class I could share my experiences and take the next topic that I learned to build on. This follows what is known as the “Deming Cycle” of Plan, Do, Check, Act (or adjust). By continuing to do this cycle every day and week, I was able to experience and learn MUCH FASTER than the majority of people in class. I’ve continued taking that experience into business, which has allowed me to learn and grow businesses much easier as well. You may have noticed that I often don’t learn alone. When I was in grad school, I had a co-worker that I took just about every class with. I also had classmates, professors, other co-workers and Ariana around me. What this allowed me to do was to not only learn directly myself, but to also learn from others. You see, we each have our own perspectives and paradigms on things. This often will allow us to focus in on specific things and ignore other items. This can be really great when it allows you to focus, but it can also leave you missing important lessons, biased in your views and with blind spots. So one of the best things that you can do is supplement your direct learning by learning from others. After each class, my co-worker and I would debrief. We would each share key takeaways from class, which we would have come common takeaways, but we would also bring up perspectives or aha moments that the other person missed. Being able to do this allowed us to learn even faster without a lot of effort. So look for opportunities for people that are attending the same class, taking the same course or reading the same book to share experiences. The above is a picture from one of the many conferences that Ariana and I have attended. 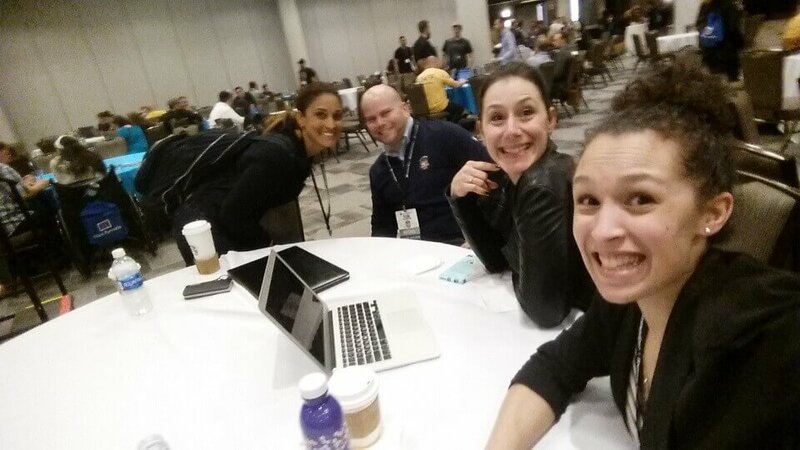 Related: If you are attended conferences and want to get the most out of them, check out the entire podcast episode that we did on How to Maximize the Value of Conferences. OK, so I just shared my 5 favorite “hacks” to increase how much you can learn and more importantly how you can benefit and see results from your learning. But you won’t benefit from these hacks if you don’t actually implement them. So here is my recommendation for how you can do that. Make Learning a Habit: Identify an existing habit loop that you can use for learning. I used drinking coffee in the morning as my cue. Identify what yours is an begin creating a new learning habit. Schedule Time to Learn: Once you identify and plan to begin implementing a new habit, actually schedule time on your calendar. This will force you to use that time to help develop your habit. Be Intentional About What You Learn: Spend some time getting clear on what you want things to look like in your life and business in the future and identify what key actions you need to take and what you need to learn to take those key actions. Use this to guide your learning choices. Also, our free Plan With Purpose course will guide you through getting clear on the future that you want to create. Implement What You Learn Daily: I like to learn in the morning so that I can get my brain going and implement what I learned in the morning during the day. Figure out a time to learn and a process for capturing your learning and implementing it each day. Share Your Learnings & Learn From Others: Find a group of like-minded people who you can talk to, share information with and learn from. If you are looking for a group, we invite you to join our free Family Entrepreneur Life community on Facebook. This group contains thousands of entrepreneurs who are building their businesses to create their ideal lifestyle for their family. More Traction in Your Business. More Clarity in Your Life. 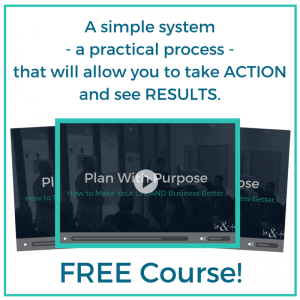 Grab our FREE 7 Day Video course for a simple system that will allow you to take ACTION and see RESULTS.